NASHVILLE – Today, the Tennessee Bureau of Investigation announced 10-year-old Henry Zenor as the winner of the state’s 2016 Missing Children’s Poster Contest. Henry’s entry, chosen from dozens of submissions, has already been submitted to the United States Department of Justice (DOJ) poster contest representing of the State of Tennessee in the national competition. Henry is a 5th grader at Christ the King School in Nashville. 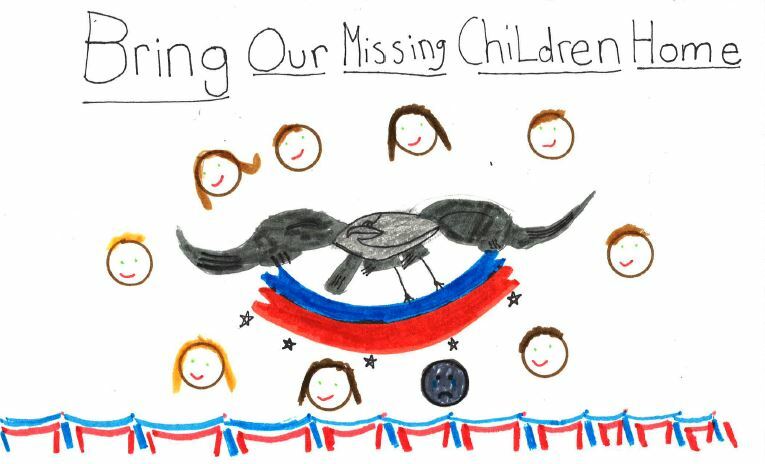 The judges chose Henry’s artwork because of how he clearly demonstrated the theme “Bring Our Missing Children Home.” Like so many who participated, Henry adopted a patriotic theme to his entry, including a portrayal of a single missing child to symbolize the need to never forget missing children across the country. The 5th grader – who plays basketball and football for Christ the King – cited drawing as an additional hobby. The U.S. Department of Justice, through its Office of Juvenile Justice and Delinquency Prevention’s Child Protection Division, sponsors the annual poster contest for 5th grade students to develop artwork to represent America’s united goal to bring missing children home safely. As the clearinghouse for missing children in the State of Tennessee, TBI sponsored the contest at the state level. Each year, more than 1.3 million children are reported missing in the country. The U.S. Department of Justice takes time to commemorate the valiant and unselfish acts of the many organizations and individuals who bring our missing children home. The winning artwork will be unveiled at the National Missing Children’s Day ceremony, to be held in May. The national winner will win a trip to travel with his or her parents to Washington, D.C. to participate in the ceremony, as well as a certificate and a U.S. savings bond.